I can’t wait for bread to be declared a health food and I will immediately start eating not hing but toast three times a day. 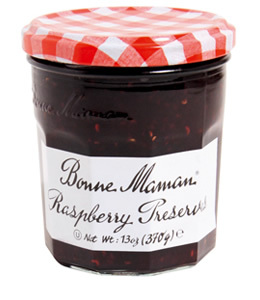 It’s a treat I save for weekends and there’s nothing better than Bonne Maman Raspberry Preserves on Ace Bakery Ciabatta toasted. Made in France, this jam is at least as good as my own home-made and is available in Loblaws/Supercentre stores.